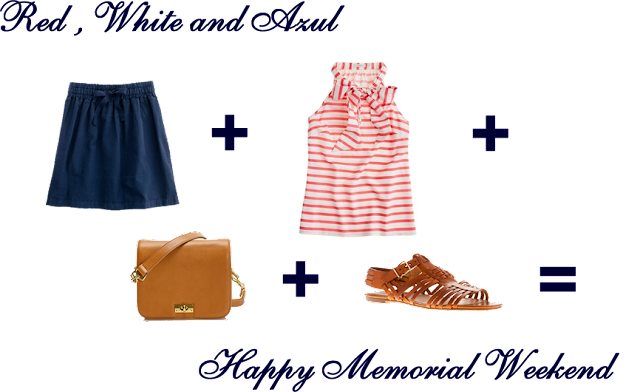 Ana In Style: Hello Holiday Weekend! Since it is Memorial Day Weekend, I had to post an outfit inspired by the colors red, white and azul! It is the perfect casual outfit for an outdoor party or BBQ. Do you have any plans for the holiday? I do! Relax, Relax and Relax!